National home builder Meritage Homes specializes in developing smart solutions in terms of residential construction. Since the mid-1980s, Meritage Homes has focused on site selection, energy efficiency and quality of life; three factors that are clearly present in Raven Crest. 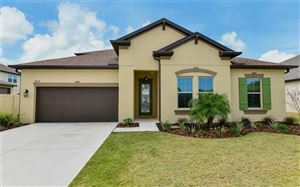 Meritage Homes chose a pristine section of northeastern Manatee County to develop Raven Crest, which is located about three miles east of I-75, between Manatee Avenue and Upper Manatee River Road. 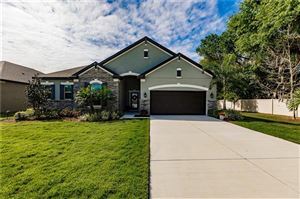 This is a great location insofar as being situated in the midst of a mature forest, but not too far away from the metropolitan and suburban sections of Bradenton. Purchasing a single-family residence at Raven Crest is a smart choice for families who wish to grow and prosper in a great neighborhood. The interior spaces of all properties in this community are larger than 2,000 square feet; in fact, the largest floor plan offered by Meritage Homes features four bedrooms and four bathrooms on two levels measuring a total of 3,467 square feet, but there’s also a bonus room that can be converted into an extra bedroom, which is perfect for an extended family. Young families and first-time home buyers may be interested in the cozier Northfield floor plan, which also features four bedrooms but only a ground level and 2,060 square feet of living space. As of summer 2015, pricing at Raven Crest started at less than $350K, but this is bound to change in the near future as more home buyers consider moving to eastern Manatee County. As with all properties built by Meritage Homes, the single-family residences at Raven Crest are energy-efficient, which means that homeowners can save on monthly utility bills since the home is designed to stay cool in the summer and warm in the winter. The countryside lifestyle at Raven Crest is far from isolated. There are two shopping districts within four miles of the neighborhood, and driving to Downtown Bradenton takes less than 20 minutes. 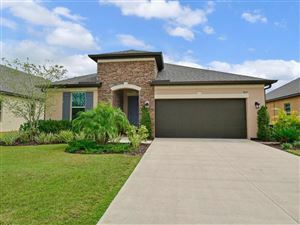 See all Raven Crest Bradenton Florida Homes for Sale.